As fathers we go through this every day after a divorce, mothers are allowed to have the kids no matter what, while our feeling for our childrens is thrown away as unimportant, but in this case, it made me fell good that not all believe in this crap. Zombie plague of black friday. Congrats to a dad won his fight to see his son. 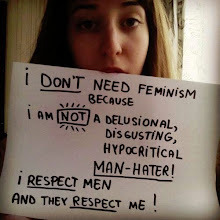 Feminism; this is how stupid it is getting. The circle of life....man and woman. 'Mind Our Men' initiative launched in Ireland. Evil Women; evil stepmother & woman eats husband.